As I'm sure we're all well aware, The Right Stuff is an ardent account of the early years of the space race, charting the adventures of the US air force pilots who formed the vanguard of the American space programme – John Glenn, Gus Grissom, Alan Shepard, etc., and especially Chuck Yeager. It originally appeared as a four-part article in Rolling Stone magazine in 1973, and was a prime example of "the new journalism", i.e. 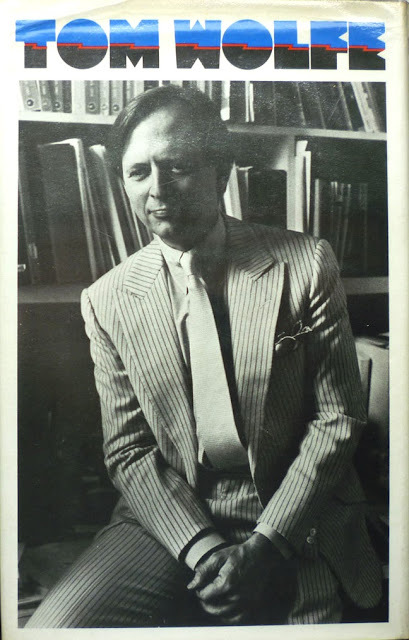 that writing by Wolfe, Truman Capote, Hunter S. Thompson, Norman Mailer, Joan Didion and others in the 1960s and '70s which took a more literary approach to journalism. 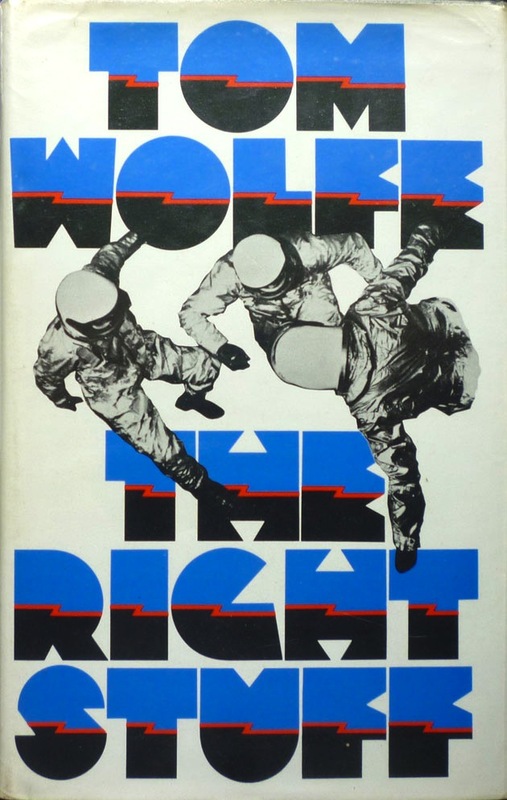 As a book, The Right Stuff certainly reads more like a work of fiction than non-fiction: though written in the third person, Wolfe frequently ventures inside the heads of the various protagonists, and artfully constructs a propulsive narrative far removed from that of a dry biography. And that's what really makes the book such a joy to read: Wolfe's special knack for colourfully communicating the sheer, breathless excitement of it all, as, led by Yeager, the test pilots break the sound barrier and then are supplanted by the Mercury astronauts, hand-picked to be blasted into space atop towering rockets instead of at the stick of a rocket-propelled plane – "spam in a can", as one of the Mercury seven, Gordon Cooper, so memorably put it – but actually more concerned about retaining the respect of their pilot peers. Like the previous two books in this series of posts, I originally read The Right Stuff years ago, and was bowled over by it – and by the terrific 1983 Philip Kaufman film adaptation, starring, among others, Scott Glen as Shepard, Fred Ward as Grissom, Ed Harris as Glenn and Sam Shepard as Yeager. 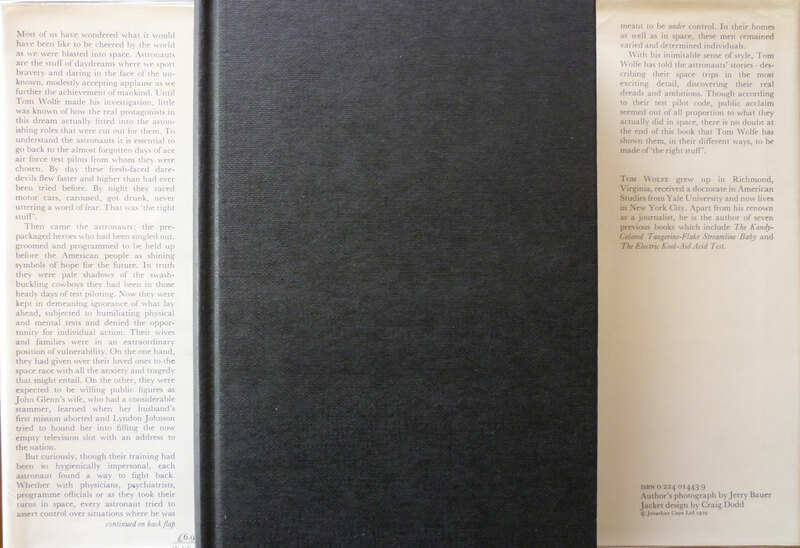 Both book and movie brought a number of hitherto arcane phrases into common parlance – "pushing the envelope" among them – and helped ignite a passion for space exploration in a generation too young to have witnessed Project Mercury first hand (myself being a case in point). It is, by any yardstick, a brilliant book, and if you haven't read it, I urge you to do so.